We use the highest quality materials, specially engineered for the Focus 2011-on vehicle. Great way to make the front of your Ford Focus stand out. Contoured to the shape of the original air vents. Will only fit Focus Model 2011-on. *listing does not include other chrome parts shown in the pictures. Please see our other listings. 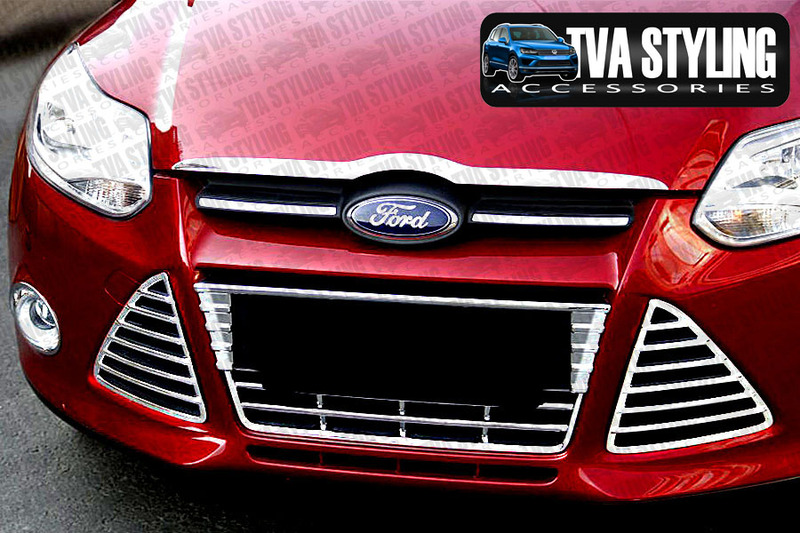 Click the button below to add the Ford Focus Chrome Front Bumper Vent Covers Trim Accessories 2011-on to your wish list.